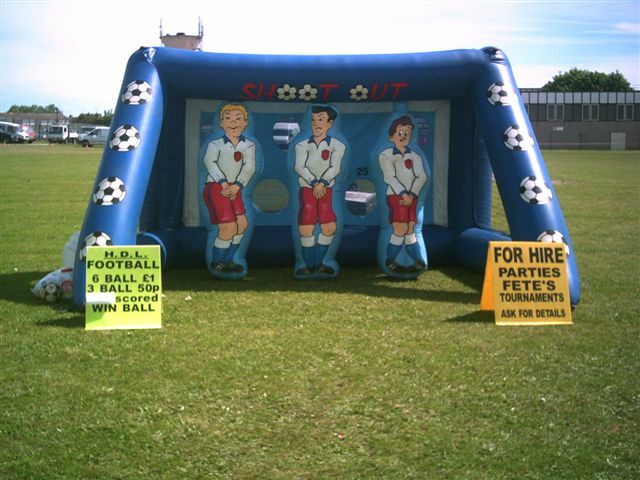 Elite Soccer Schools provide support at fetes, fayres, tournaments and any other occassions with our fun inflatable football shoot out game. 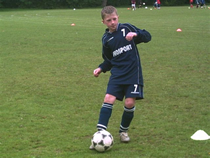 Try to bend it like Beckham to score points in this uniqe shootout game! £50 per day or £60 with the generator. This includes delivery, set up and de-rigging, or we can run it for you and pass on a percentage of our profits. 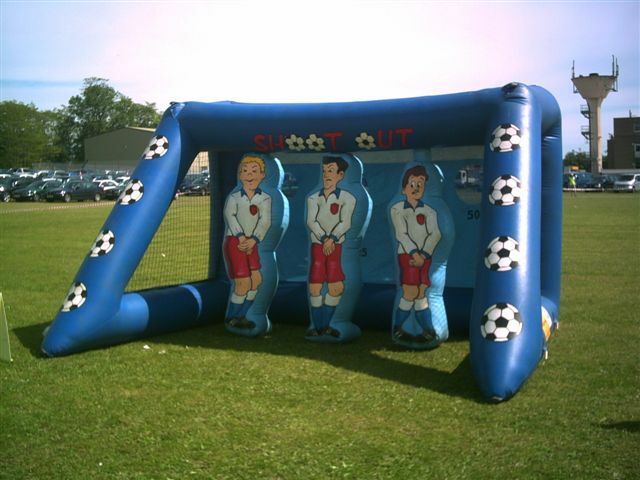 This shoot out game is a great way to raise money at school fayres, tournaments etc. and is also great fun at parties, barbecues and even weddings!